(CNS): What we think of as “success” should not be limited to achievement in academic studies but should be looked at as students leaving school and being able to move on and take their place in the adult world, according to Chief Education Officer Shirley Wahler (left). Therefore, with the restructuring of secondary education on Grand Cayman, Year 12 students are now offered a range of vocational studies, as well as the opportunity to re-sit CXC and GCSE external exams or take advanced academic courses. 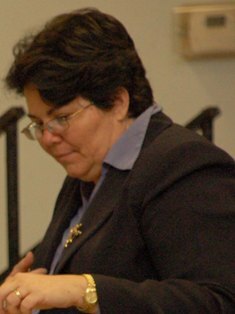 This restructuring was achieved without additional funding, with less staff and without the new schools that were part of the original plan, Wahler noted. Starting in September, Year 12 students on Grand Cayman will be the first year group to have the advantage of the restructured final high school year. However, this has not yet been introduced on Cayman Brac and the education ministry will now embark on a consultation exercise to gauge whether the Cayman Brac community wants the same framework for students there. Speaking to parents and teachers at a recent PTA presentation at the Cayman Brac High School, Wahler explained that in the early 1990’s students were not leaving school with good exam results and many were leaving school at 15½ to 16½, which was thought to be too young. After much national discussion, the government dropped A’ levels from public school and added a year of secondary education so that external exams were taken after three years of study instead of a two year course. In Britain and everywhere else in the Caribbean where the British system is used the exams are taken after two years, she noted. However, instead of better results, exam results actually fell – they dropped for a few years then plateaued, then stayed low, Wahler said. While the reasons for this are not clear, she said that for students who are not academic those three years can be really frustrating and they still achieve little success at high school, whereas students who do well in exams do just as well in two years as three. This year on Grand Cayman 720 students — all of year 11 and Year 12 — took their external exams, and the Year 11 students will remain at school for the compulsory Year 12 at the George Hick campus, the culmination of a process that began under the previous PPM administration. The new Year 12 provides a safety net for students who achieve poor results (typically D/IV grades), since they now have a second chance to take CXC or GCSE exams. For high achievers who gain at least five higher passes including English and Mathematics, the Department of Education Services (DoES) has introduced the Advanced Placement International Diploma (AP), which offers a bridge to university. Curriculum Development Officer Clive Baker explained that the courses students have been taking at high school up until now are not designed as college preparation courses. “We have been setting up a large number of kids for failure. We send them overseas and in many cases they struggle academically, particularly with mathematics. CXE does not prepare them, by any stretch of the imagination, for college algebra. So they get disillusioned and often don’t go back to college and their confidence is broken,” he said. Success in the AP programme can give students credit at college, which could in some cases be as much as a year credit, Wahler explained. “It’s a fantastic programme, but it’s very intense and not for everyone,” she said. As an alternative to the Year 12 programme, students can take A levels at a private school that offers these or go to UCCI to continue their education, but they will not get an overseas scholarship straight after Year 11 and they will have to show that they have attended and gained suitable achievements in their chosen alternative education path to do so. The Year 12, therefore, now has a strong vocational studies element, which will give students externally accredited qualifications in vocational, career and technical (VoCaT) education in the Further Education Programme. This will be offered at two levels: Level 2 VoCaT education programmes are aimed at students who have at least 3 or 4 passes at grades D/IV or below. Students will take BTEC First Diploma schemes (equal 2 –4 GCSE passes), which has a work experience component (at least 1 day per week). It is also possible to combine vocational courses with some re-sits. Level 1 VoCaT basic technical skills programmes are for students who have had limited academic success. The focus is on ensuring basic literacy, numeracy, ICT skills, and there is a strong work experience component. On Cayman Brac it is possible to restructure the high school so that next term’s Year 9 are able to take advantage of the “5+1” system. These students will then choose their options at the end of the next academic year and take their external exams at the end of year 11. For more on the restructured secondary education, visit the Department of Education Services blog. (CNS): With the addition of eight officers to the number of law enforcement officials that can now work underwater the RCIPS now has a dozen divers available for duty. The officers were trained by Customs Officer Darren Kirchman, who is a member of the Joint Marine Unit (JMU), The officers who successfully completed the PADI open and advanced water courses will now form a ‘pool’ of divers who can be called upon to assist the full time members of the JMU as, and when, operational demands dictate the police said. The JMU has five full time divers. One of the JMU divers took part in the recent training courses alongside seven colleagues from various departments in the force, namely CID, Neighbourhood policing, DTF and two officers from the ranks of the Special Constabulary. Two local diving companies, Sunset Divers and Ocean Frontiers assisted with equipment and pool facilities for the courses. C.O. Kirchman is a PADI certified instructor and a PADI Emergency First Response (EFR)instructor. He is about to undertake a public safety dive instructor course and will represent the JMU on an underwater crime scene instructors course in the USA later this year. “The preservation of life is a top priority for the RCIPS and the Joint Marine Unit,” said Superintendent Kurt Walton of the RCIPS “That’s why, when we identified a need to have more divers available within the force, we moved quickly to train additional staff. (CNS): A survey of lenders in the Caribbean revealed that tourism development projects that have either stalled or failed in the region did so because of unrealistic projections or forecasting. The “Caribbean Regional Financing Survey” by KPMG’s regional advisory practice also pointed to lack of cash and poor financial management. As a result the lenders surveyed said the key lessons they had learned would see a back to basics, conservative, long- term approach to lending in the region. The accountants also found that failed or half-built projects will continue to find it very hard to refinance. This year for the first time KPMG also included development banks in the survey to capture the emergence of a potential new source of financing in the sector. Lenders were asked about the key lessons learned over the past year and in general the responses revealed a back to basics return to a conservative, long- term approach to lending. “The common themes that emerged from this year’s report should not be a surprise to anyone. There is a more cautious lending environment across the entire region,” said Tully Cornick, (above) head of Corporate Finance with KPMG in the Cayman Islands. With respect to development financing, responses indicated that the level of reliance on pre-sales had become very unattractive and should pre-sales be considered as a source of funding then more manageable phasing and more thorough due-diligence would be required. Lenders said they remain cautious about the projects they are willing to finance and where. When asked to name their current top three markets they noted The Bahamas; Barbados and Bermuda. However, when asked about future investment, there was less agreement, with The Bahamas, Jamaica and Costa Rica all in the running. All agreed that good airlift and strong market demand were crucial for the success of any project. Collectively those surveyed reported total exposure in the region in excess of US$2.58 billion. When asked what characteristics might suggest to them that a development should be re-financed or otherwise revived they noted: Strong project sponsorship (new and sufficient infusion of cash), quality of sponsors and current customer base, strong project fundamentals and structural competencies such as good location, adequate airlift and viable infrastructure. KPMG also revealed that some lenders were not willing to share quantitative responses concerning loan parameters, a reflection of the more cautious attitude, the accountants said. KPMG stated that recovery in the major tourism and investment markets will take time to translate into recovery in the region. “The development pipelines will be fairly slow for the next two to three years and the roller coaster ride in personal savings and investments over the last few years could further dampen the demand for second homes even longer; the exception being very high net worth individuals,” it said in a release about the survey. (CNS): Following its organisation Alex has become the first hurricane of the 2010 season and the first June Atlantic hurricane since 1995. 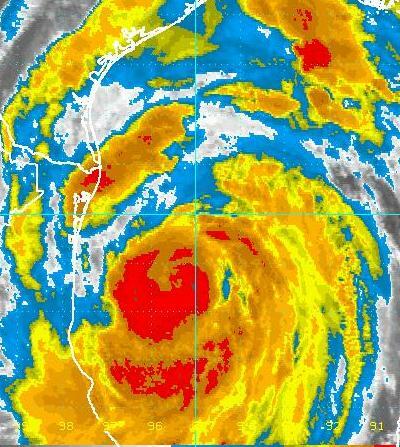 At 10:00 pm on Tuesday night Hurricane Alex was a category one hurricane moving mostly westward near 9 mph approaching the coast of north eastern Mexico or Southern Texas. Maximum sustained winds had increased to near 75 mph with higher gusts and the NHC was predicting additional strengthening prior to landfall. Hurricane force winds extend outward up to 15 miles from the centre and tropical storm force winds extend outward up to 175 miles. Alex is expected to produce total rainfall accumulations of 6 to 12 inches over portions of north eastern Mexico and southern Texas with isolated maximum amounts of 20 inches. According to the NHC dangerous storm surge will raise water levels by as much as 3 to 5 feet above ground level along the immediate coast to the north of where the centre makes landfall. The surge will be accompanied by large and destructive waves as well as isolated tornadoes over portions of extreme southern Texas on Wednesday. Alex has gradually become better organized bur forecasters say Alex is unlikely to strengthen beyond category one status prior to landfall. (CNS): The opposition said the new national honour system is at risk of being politicised because of the power the premier’s office wields over the committee and the decisions on who will receive the awards. The National Honours and Awards bill was presented to the Legislative Assembly on Monday when McKeeva Bush said it was part of the march towards nation building. He said it would not replace royal awards but would allow the country to honour its own. However, Alden McLaughlin, who said he backed the concept, pointed out that the law was written in such a way that it may give the appearance of being granted at the whim of the ruling party. 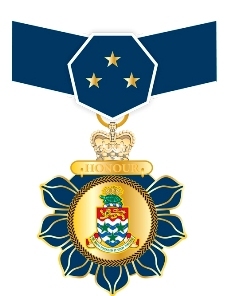 McLaughlin said he supported the idea of Cayman’s own honours system but the law gave too much discretion to the premier’s office. According to the law, the premier would select the members of the National Honours and Awards committee with only passing consultation with the leader of the opposition, be able to override the decisions made by the committee, confer the honours and to then remove any honour conferred at a future date if he saw fit. “I have great concern over the legislation’s potential for politicisation on the granting of these honours,” the PPM member told the House during the debate. “If they begin to appear as though they are granted by the favour of the ruling party we will diminish them,” McLaughlin warned. He said that none of the members of the Legislative Assembly held their seats forever as they were there at the will of the people and they needed to ensure that the honours would haveintegrity and stand the test of time. McLaughlin said it would undermine the objective if people believed the awards were granted for political favour. “We must build into this system checks and balances to reduce any inference,” he added. The third elected member asked the premier to re-examine the structure of the law to create more independence from the premier’s office for the committee and the final decisions. “We mustn’t make them at the whim of whoever is in office,” he added, cautioning that the honours should not be the premier’s “royal" award scheme. Arden McLean, the member for East End, also questioned the premier’s influence on the awards and queried the clause which provided for non-Caymanian residents to be honoured. He asked what was the point of even having a committee if the premier got to make all the final decisions. McLean said he was not trying to diminish the principle and said it was commendable that the premier was bringing the law, but he too wanted assurance that awards would not be given for political support. The independent member for North Side also questioned the clause that would allow non-Caymanians to be honoured. Ezzard Miller said he supported the bill as he had never been one that liked the queen’s awards as it was impossible to know the criteria on which they were based, and pointed out that he had refused UK royal honours offered to him. Offering his support to the bill he added that he would like to see that honours reserved for Caymanians only and a clearer definition of the criteria. Closing the debate, Bush said he was outraged by the criticisms from the opposition but he was not going to be discouraged. However, he wondered why the opposition always had to be the way it was. “In all my time on the opposition bench I would never have tried to throw cold water on such a laudable initiative,” he said, adding that he had no intention of changing the bill because of the opposition. “They have nothing to offer but scepticism and dissent. The premier said the bill had been on the table of the Legislative Assembly and in public discussion for several months but he had not heard from the opposition until now. “They can say anything but they are not going to stop this government,” the premier added. He denied that the honours would bepoliticized and pointed out that the leader of the opposition would be consulted about the committee. Bush claimed that the opposition was only concerned about the awards coming from the premier’s office because he was never meant to be premier and the third elected member for George Town couldn’t get over that. Bush also dismissed the contribution from the East End member as he said he only ever spoke to hear himself talk. Defending the decision to include residents as well as Caymanians in the honours, Bush said many people from overseas had contributed to the development of the country and they should be honoured. Relating a story about how his own brother’s life was saved at the hands of a foreigner, Bush asked where Cayman would be without the help of people who came from overseas. The law passed with support from government, the independent North Side member and Anthony Eden from the opposition benches. Arden McLean and Alden McLaughlin abstained. The first recipients of the country’s own medals will be awarded on National Heroes Day January 2011. (The Guardian): Spare a thought – and perhaps a euro – for the poor French politician. No more taxpayer-funded Cuban cigars, private jets, or even luxury hotels. 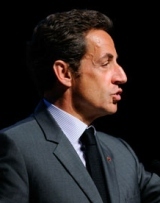 And, if Nicolas Sarkozy has his way, no more overstaffed offices and unfettered use of the ministry photocopier. Having cancelled the Elysée palace summer garden party, the French president has decided everyone else must "make an effort" to tighten their professional belts. Anxious to be seen wielding the austerity axe following a spate of scandals over official perks, not to mention a ballooning public deficit, he is demanding ministers’ spending be "vigorously reduced". (Bloomberg): Just before sunset on April 10, 2006, a DC-9 jet landed at the international airport in the port city of Ciudad del Carmen, 500 miles east of Mexico City. As soldiers on the ground approached the plane, the crew tried to shoo them away, saying there was a dangerous oil leak. So the troops grew suspicious and searched the jet. They found 128 black suitcases, packed with 5.7 tons of cocaine, valued at $100 million. The stash was supposed to have been delivered from Caracas to drug traffickers in Toluca. The smugglers had bought the DC-9 with laundered funds they transferred through two of the biggest banks in the US: Wachovia Corp. and Bank of America Corp.
(CNS): McKeeva Bush hit back at public criticisms regarding Cayman Airways funding on Friday, when he said that the airline had been running at an annual $20 million loss under the previous administration. The premier said under the last government CAL was underfunded and crippled by financial challenges which it had ignored. The new board has made a commitment to turning the company around and is facing the difficulties in an open and transparent manner, he added. After so many years of funding short falls under the PPM, the new management planned to get the airline back on a sound footing and therefore needed the right level of funding Bush told the Legislative Assembly. Because of what he said were misleading, biased and uninformed opinions, Bush made a statement to the House. He wanted the public to fully understand what the finance committee had approved for the airline the premier explained. “I find it most disappointing that such important and positive news for our national flag carrier is being dragged through the dirt by the very naysayers who benefit one way or another from the airline’s commitment to these islands,” he told his parliamentary colleagues. The government and the airline’s current board had inherited the financial challenges crippling the airline which he said had been ignored for too long. Bush said the funding approved was as a result of this action plan. While people were critical and trying tomislead the public, he said, over the last 3 financial years 2007, 2008, 2009 the airline experienced an average operating loss of approximately CI$19.6 million each year, but the previous government only provided annual funding of CI$13.7 million. During this time the premier explained that non-bank debt had continued to grow because of the underfunding and the principal loan payments could no longer be ignored. This government had made funding decisions which had been approved by Finance Committee, Bush noted, that he said more accurately matched the needs for the routes Cayman Airways is required to operate. The CI$15 million operating cash was going on interest related to debt, payments for agreed purchased strategic airlift services, including tourism routes and Sister-Islands services and to support the airline’s core airlift operations. 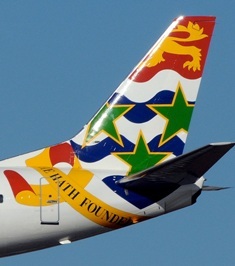 The Extra $5.1million, the premier said, was to address the principal portion of the airline’s debt related to historical unfunded losses which amounted to about CI$51 million. The premier went on to justify the $20.1million which the airline has received in this year’s ‘bare bones’ budget as he said Cayman Airways provides the Cayman Islands with unique advantages. He pointed to CAL’s role as an essential air bridge, providing affordable fares between Grand Cayman and the Sister Islands. For six months of each year, it provided peace of mind to visitors and residents with guaranteed provision of pre- and post-disaster relief and the capacity for evacuations, the premier added. Bush talked about the pride in knowing that Cayman has “this tremendous asset” and everyone should show patriotism and support by choosing CAL when the travelled. By giving the airline what he said was the correct level of output payments and addressing the debt related to historical unfunded operations Cayman Airways was now able to effectively operate as the “strategic engine for tourism and economic development, providing the country with an optimized return on its investment,” he added. (CNS): During a Finance Committee discussion on Tuesday 22 June, Arden McLean, the East End representative, questioned public health officers on what appears to be an unauthorized vehicle scrap yard. In addition to the illegal construction of an office along Shedden Road, McLean had concerns that the area could be a public hazard. 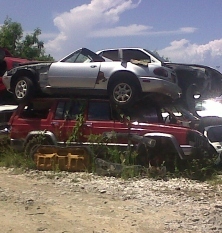 McLean stated that the scrap yard could be overrun with rodents and other public nuisances. Another issue he brought up relating to the environmental health issues was that, not only could there be an infestation, but since the vehicles are stacked upon each other in several piles, an accident resulting in a car falling and injuring someone may occur. 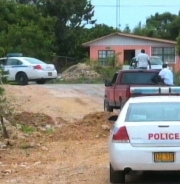 “I have received reports that across from Mango Tree there are hundreds of vehicles stacked up there,” said McLean. Deputy Premier Juliana O’Connor-Connolly responded to the subject by advising him to mention the situation to the police commissioner since the matter is related to derelict vehicles, which she indicated was more likely to be a police matter than public works. The opposition party member spoke with CNS and told us that more than just the police and public health services could be involved. The planning department and immigration services could be involved because the people running the scrap yard may not have a permit or business licence. The construction behind all the junk may not have been approved by planning. Director of the Department of Environmental Health Roydell Carter said that the problem of the derelict vehicles could be down to weaknesses in the Environmental Health Law. CNS went out to the location of the scrap yard on Shedden Rd by the Mango Tree restaurant. We spoke with customers about buying parts and found that most clients thought it was convenient but they too raised questions about its legality and safety. Ahleigh Hydes is a 15-year-old worklink student from John Gray High School.